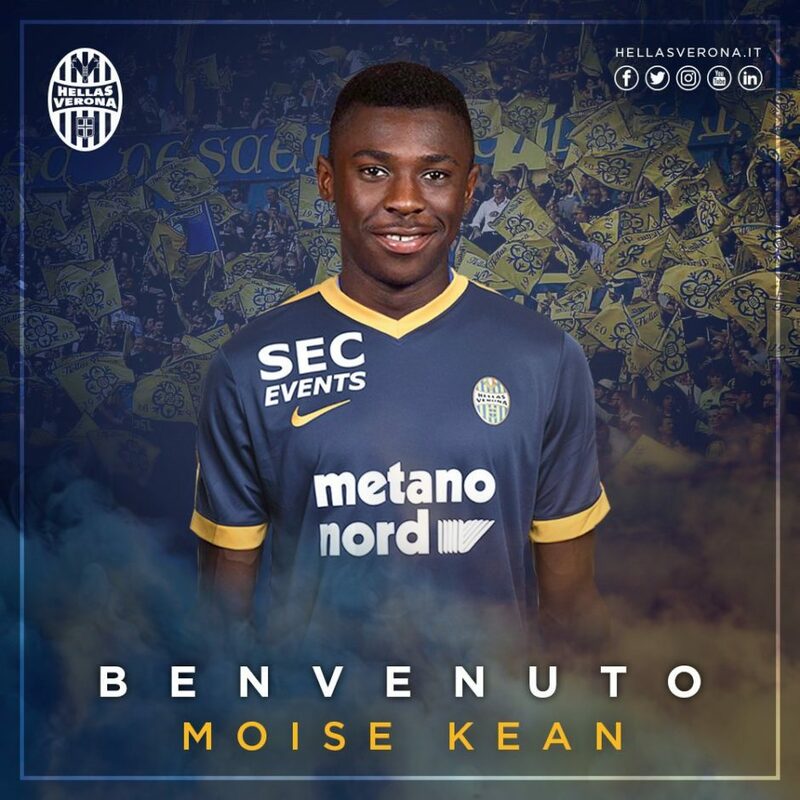 Hellas Verona have confirmed the arrival of Moise Kean on a one-year loan. The 17-year-old striker enjoyed a phenomenal campaign with the Juve Primavera before making the step-up to the senior squad where he made his Champions League debut and secured his first goal for the first team against Bologna. It was initially implied that Kean may remain at Juve this season to play as a deputy to Gonzalo Higuain, however the Bianconeri have confirmed the striker went out on loan on deadline day in an effort to gain regular playing time. Juventus Football Club announces that striker, Moise Kean will spend the 2017/18 season on loan at Hellas Verona. Kean, who grew up in the Juventus youth academy made his Juventus first-team debut last season, aged just 16. – When he replaced Mario Mandzukic towards the end of Juventus’ 3-0 win against Pescara on his Juventus debut, he became the first player born in the year 2000 to play in Serie A. – He became the first player born in the year 2000 to play in the UEFA Champions League, after coming on away to Sevilla in the group stages. – And finally, on the final day of the league campaign, Moise Kean scored a goal in the last-minute to secure a 2-1 win for Max Allegri’s men and became the first player born in the year 2000 to score a goal in Serie A. It was quite the season for the young Italian forward, who will now spend this term out on loan to grow and develop. Juventus wishes Moise good luck, as he prepares to begin a new adventure!